If one or more of these conditions applies to you, consider requesting a topical fluoride treatment. Be sure to ask Drs. Sheena Allen, Murat Ayik, Mark Margolin, and Schaefer at your next appointment whether you might benefit from a topical fluoride application. 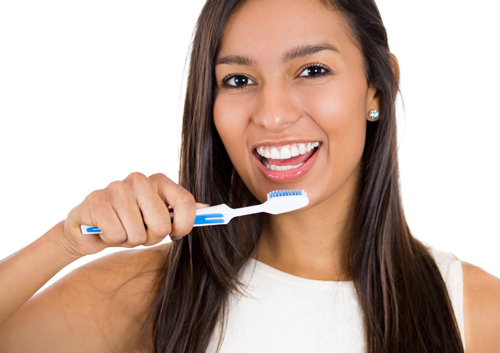 With so many toothpastes available in so many price ranges, it can be difficult to be sure you are selecting the right one for your needs. You need a product that not only protects against tooth decay, but also addresses any special concerns that Drs. Sheena Allen, Murat Ayik, Mark Margolin, and Schaefer and our team have raised. Look for the American Dental Association seal and do some research to find the toothpaste that best meets your needs. When you have a tooth extracted, your body immediately sets to work to help protect the affected area. The blood that collects at the site of the extraction clots to cover and protect the wound. This is a normal response, and protects the nerves and bone that have been exposed with the removal of your tooth. Normally, the gum tissue will close over the area within a few weeks. But sometimes the clot becomes dislodged or moved before you have a chance to heal. The result is that the nerves and bone in the extraction site are exposed to air and outside substances. Bacteria can contaminate the wound and lead to pain, infection, and further damage. This condition is known as dry socket. There are certain activities that should definitely be avoided so you are not at risk for dry socket. Straws and suction: The action of using a straw causes suction that can dislodge the clot. You can still enjoy the soothing coolness of a milkshake, but use a spoon. Spitting: You might be tempted to rinse and spit immediately to clean your mouth, but spitting can also dislodge the clot. We will let you know how to clean your mouth and teeth for the next few days. Smoking: Not only does smoking provide a suction effect that can remove the clot, but smoking and chewing tobacco can slow healing as well. There are also steps you can take to aid the healing process. Drs. Sheena Allen, Murat Ayik, Mark Margolin, and Schaefer will give you instructions on caring for your mouth and teeth for the next few days. Gentle care for the extraction site is vital. And treat yourself gently as well. Rest if you need to, and avoid activities that might impact your wound. Stick to soft foods for the first day or so and chew on the side opposite your extraction site. Carbonated and caffeinated beverages should be avoided, as well as food like peanuts or popcorn that lodge in the teeth. How do you know if you have a dry socket? Monitor your pain and the appearance of the site after the extraction. For the first few days, you might feel some pain in the immediate area. Pain that intensifies after three or four days is usually not a result of the extraction. An unpleasant odor or taste in your mouth could be a sign of dry socket. You might look in the mirror and notice that the clot is no longer there, or appears to have been dislodged. If any of these symptoms occur, call our Dallas,TX office at once. If you are experiencing dry socket, the extraction site needs to be cleaned and protected from further injury, and we can prescribe antibiotics if needed. Dry socket is a rare occurrence, but if you have any symptoms that concern you, we want to hear about them. We will work with you to make your extraction go as smoothly as possible. Talk to us about your concerns before any procedure, and we will provide detailed information for the healing process. Keep us in the loop as you recuperate, and we will work together to make your recovery a speedy one. We could continue through the alphabet, but instead, come talk to Drs. Sheena Allen, Murat Ayik, Mark Margolin, and Schaefer about all the reasons a tooth implant might be your best option. Whether you have already lost a tooth, or if you have an extraction scheduled at our Dallas,TX office, we are happy to recommend the best procedure at just the right time to make your smile beautiful, healthy, and complete!